This easy adult take on slow cooker hot chocolate is sure to please all red wine lovers out there. 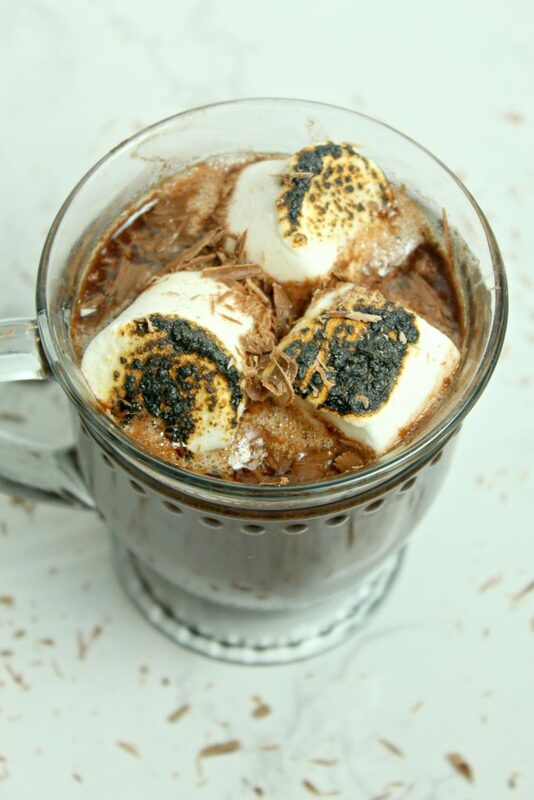 What can be better than dressing up a basic hot cocoa with a bottle of red and turning it into something so special? This slow cooker red wine hot chocolate. Not only is this slow cooker hot red wine hot chocolate the ultimate adult treat, this delicious drink is so easy to make and serve to a crowd throughout the holiday season or all winter long. Does anyone else just feel like hot chocolate is the quintessential holiday drink? Between Thanksgiving and New Year’s my hot cocoa consumption goes way up. It’s just so festive and cozy. And that’s how I feel about basic hot chocolate. 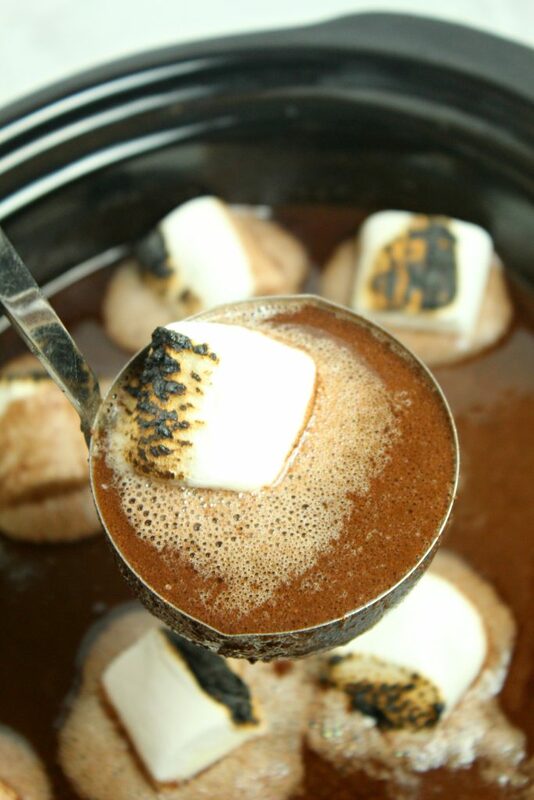 This slow cooker red wine hot chocolate? Well, let’s just say it takes basic hot cocoa to the next level and really dresses it up for this sparkly time of year. 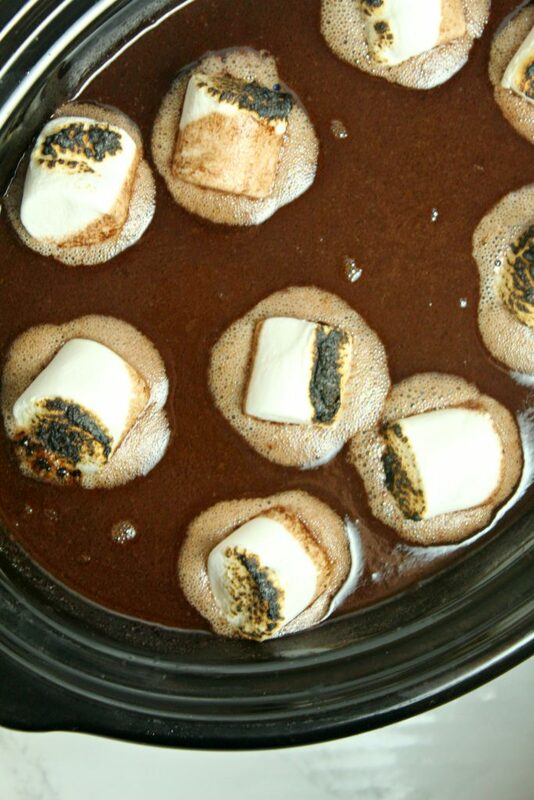 I mean red wine, chocolate and marshmallows in one delightful slow cooker recipe. Just look at all of those rich delicious goodies in one pot. It makes me want to swim in it. Or at the very least drink it with a straw. Because what a combo. Chocolate, especially rich dark chocolate like the unsweetened cocoa powder in this recipe, pairs so well with red wine. It’s classic. And oh, by the way, did I tell you that there is a whole bottle of red in this hot chocolate? A whole bottle. Wrap your mind around that delightfulness. Now, I don’t specify what kind of red wine to use. This slow cooker red wine hot chocolate gives you some flexibility. So go ahead. I give you my permission to fill your slow cooker with whatever bottle of red wine is your favorite. While you can absolutely use your favorite, I will say, I particularly like a fruity Merlot or Pinot Noir in this. But if you’d prefer a heavier red, like a Cabernet, that’s totally fine too. Whatever you like. 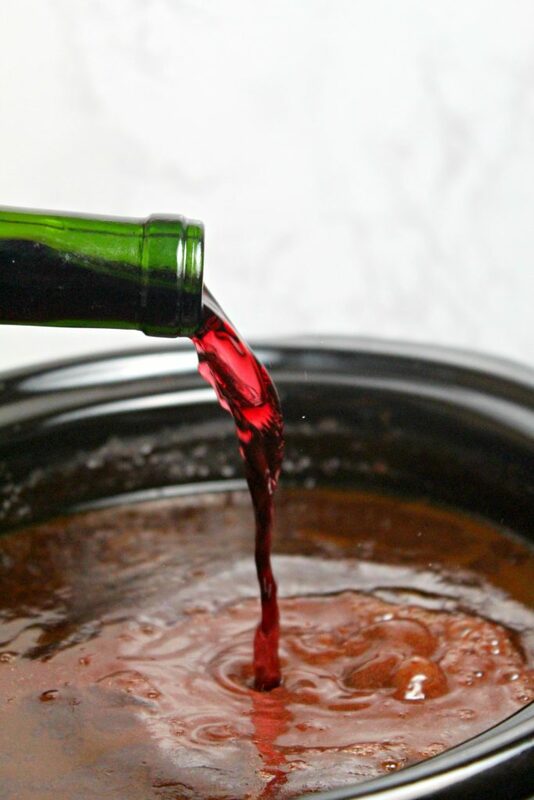 So after you choose your bottle of wine, just pour it into a large slow cooker along with the semisweet chocolate morsels, unsweetened cocoa powder, sugar, milk, and a pinch of salt. Then you just let it get happy in the slow cooker for about an hour. And really you don’t have to do much to it to make sure it comes out perfectly. Just give it a good stir every 20 minutes or so. How easy is that? And look at the amazing drink you get at the end. 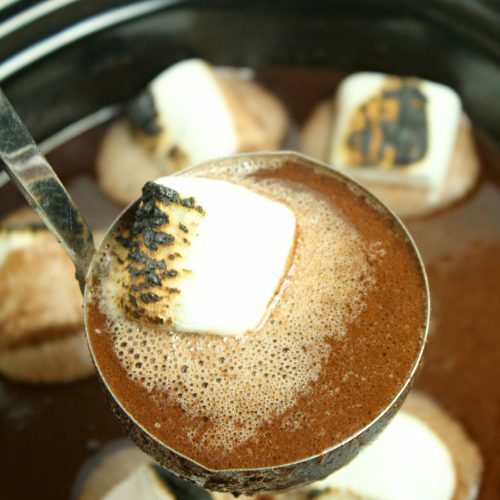 And while wine and chocolate are the superstars of this slow cooker red wine hot chocolate, don’t forget about the toasted marshmallows. Is any cup of hot cocoa really complete without a marshmallow or five? Again if you prefer untoasted marshmallows over toasted marshmallows, go right ahead and use them instead. 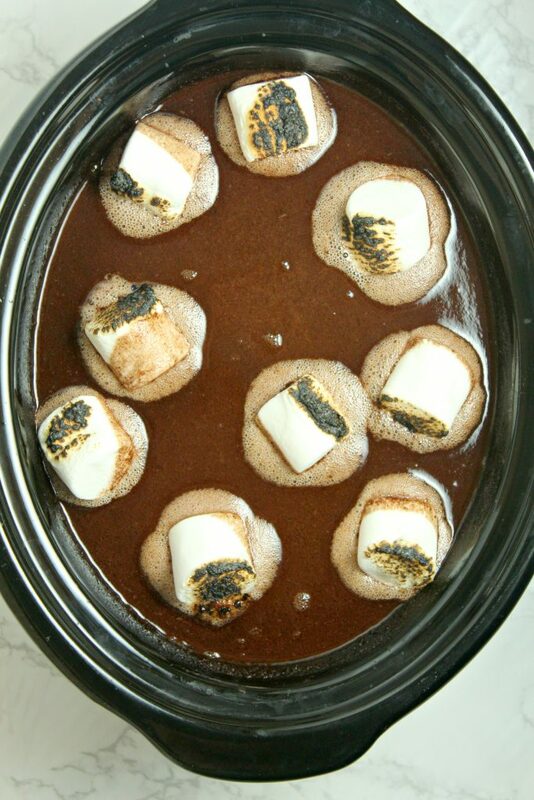 The warm red wine hot chocolate will still make the marshmallows all deliciously melted and perfect. Who could resist a cup of this perfect slow cooker red wine hot chocolate this holiday season? Not me, that’s for sure. A rich, velvety hot chocolate is infused with red wine and made in the ease of your slow cooker, it's the perfect cozy pairing to sip & savor in Winter weather. 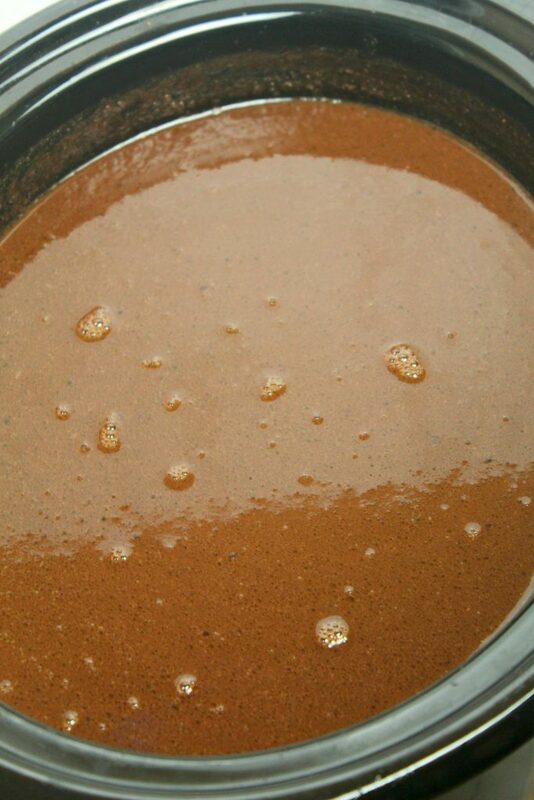 In a slow cooker, combine chocolate morsels, sugar, cocoa powder, salt, milk, and red wine and stir. Cover and cook on HIGH for 1 hour, stirring after every 20 minutes or so. 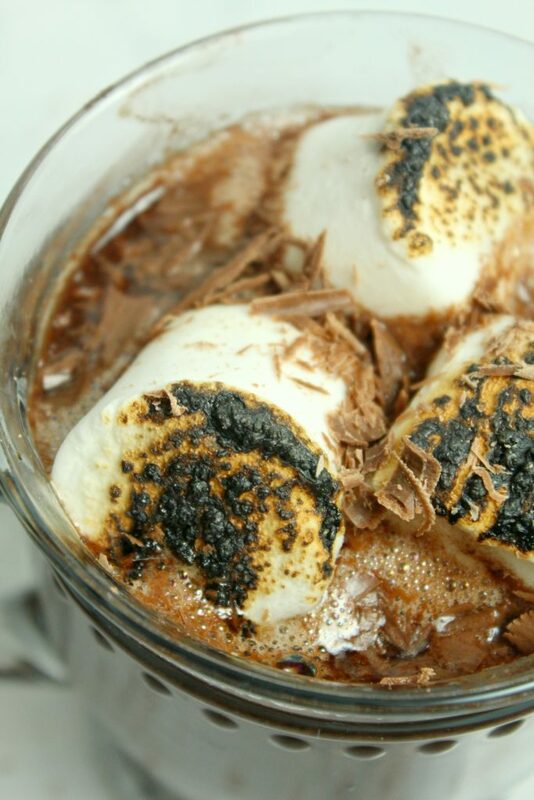 Serve in mugs and top with either toasted, or untoasted, marshmallows., whichever your preference. I would never think of making a hot chocolate drink with wine! Brilliant! thank you for sharing with FF!